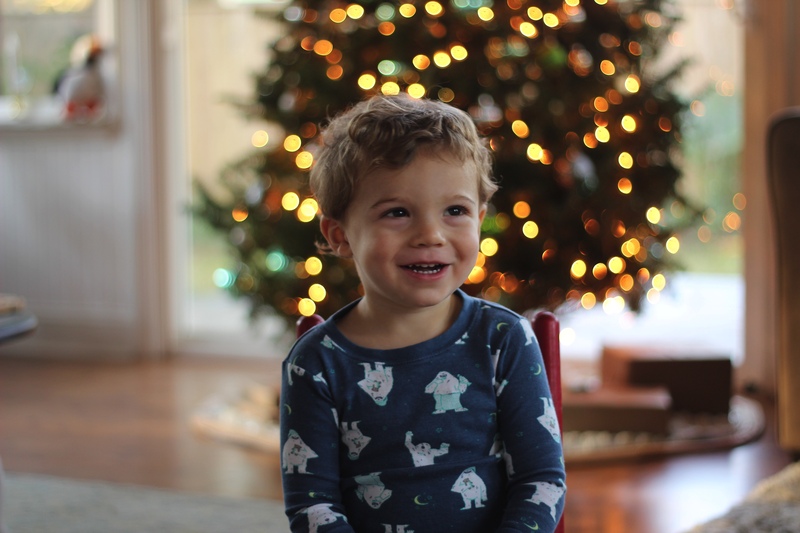 For the past three years I have worked at perfecting the perfect photo the will capture our Christmas tree, all lit up, in the day time, and with a smiling child in front of it. 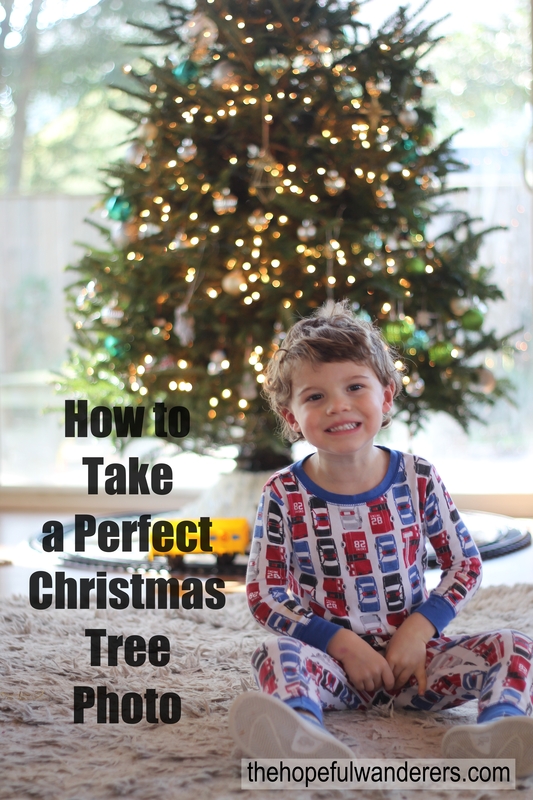 And while this might seem like a simple point and shoot scenario, not only does my child have difficulty following directions, it appears Christmas trees also do not behave well for the camera. So finally after some trouble shooting, googling, and lots of practicing, I think I have found the perfect camera setting to get everything I want in the same photo. And since it’s the season of giving, I thought I’d share this information with anyone else who might be in the same boat. So here we go. Tip No 1: Use a tripod if possible. If not, prop the camera on a barstool, chair, table, ect. Worst case, try to have as steady of a hand as possible. Since the shutter speed is so low, if you are shaky when you take the photo, the entire image will turn out blurry. Tip No. 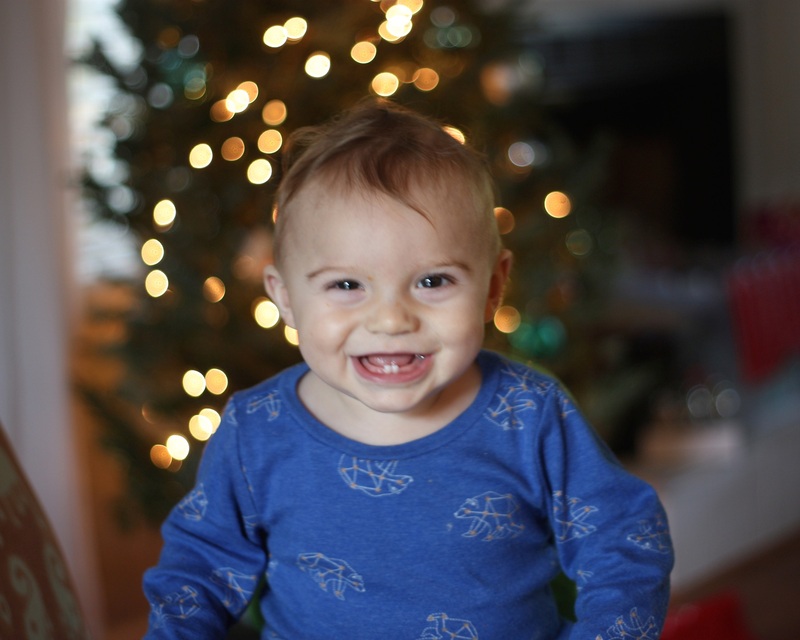 4: When working with a two and a half year old, use snacks, treats, bribery…. Use whatever you’ve got. Here are a few more of Liam from over the past two years. Christmas 2016. He only had two teeth. And always camera ready. It helped that he couldn’t walk yet. Christmas 2017. We had to put a TV show on to keep him in the chair for the photo. That is what he is looking and smiling at. You do what you gotta do.